Ken and Barbie are registered trademarks of Mattel, Inc. These pages are neither affiliated with, nor a representative of Mattel, Inc. Material provided on these pages do not in any way reflect the opinions of Mattel, Inc.
Silent Auction doll: "Victoria" is a customized Barbie® doll created by Randall Craig in collaboration with Vincent Anthony for the Silent Auction. She comes with a lovely wardrobe which includes a glamorous evening gown, a cocktail look, and two casual-chic ensembles. 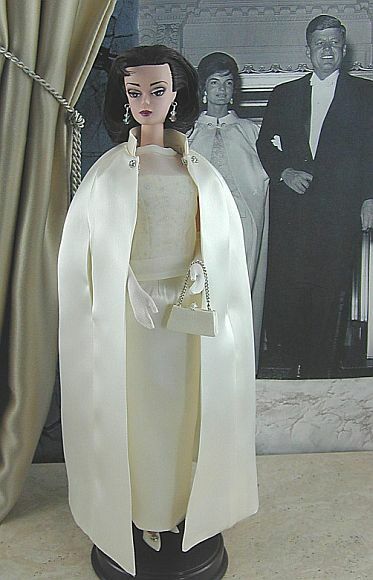 Silent Auction dolls: Left, Janet Ellis and Diana Wieler, the two sisters of La Boutique, have created a beautiful reproduction of Jackie Kennedy's inaugural gown. 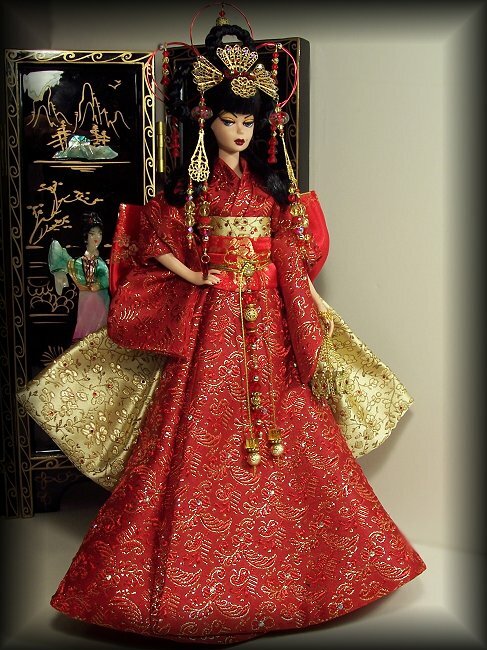 Right, Michelle James designed this Asian beauty for the Silent Auction. 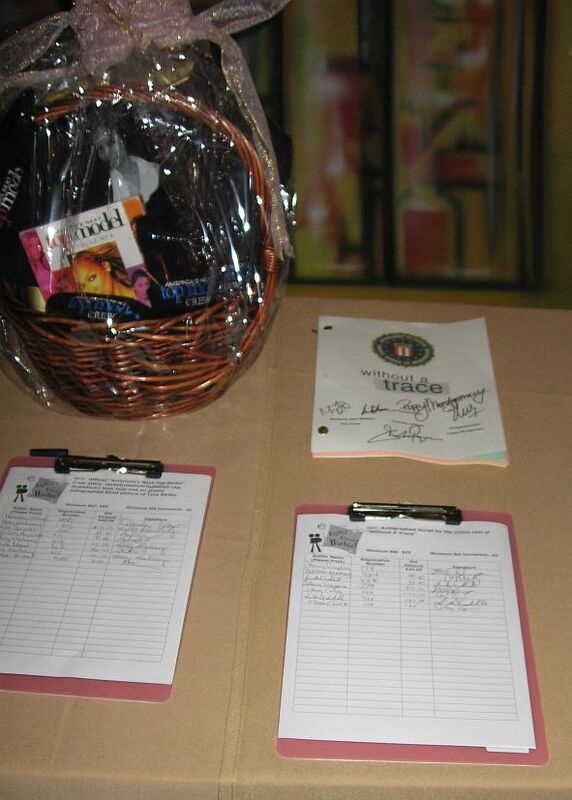 Silent Auction Items: TV's America's Next Top Model gift basket and signed script from movie "Without A Trace".